Behold, “Crusaders: Thy Will Be Done”. 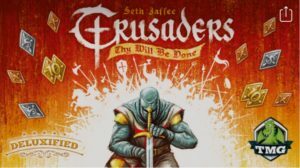 Coming from Tasty Minstrel games, and designed by Seth Jaffee, this game takes place shortly after the First Holy Crusade. You play as the leader of a Crusading Order (each with it’s own special ability) protecting, and guiding pilgrims on their voyage to Jerusalem. Along the way, you will be working to spread your influence in the world, through the building of various structures, and battling enemies. The game uses a modified Moncala / Rondel system, which, I have to admit, I had NEVER heard of , but after looking up how the system plays, and how Jaffee modifies it for this game, I found myself impressed with how simple, yet versatile a system it is, and apparently I’m not alone, as this game is currently sitting at $101,615 of the requested $40,000 with a total of 1,334 backers, it has also unlocked 4 of it’s 5 stretch goals. I definitely recommend going onto Kickstarter, and watching the videos of this one. Developed by Certifiable Studios (Orphans of Condyle Cove). 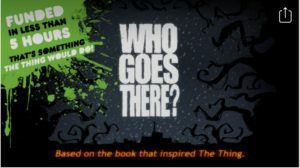 “Who Goes There” is based on the 1938 short story by John W. Campbell Jr., which also happens to be the inspiration for one of SOG’s favorite movies of all time, “The Thing”. “Who Goes There” is a 3-4 player “growing paranoia” game, where the entire group starts as human, and the players’ goal is to survive the Antarctic climate, and make it to the rescue helicopter. To achieve this, you will engage in a repeating cycle of gathering, trading, crafting, and upgrading weapons / gear to aid you in your survival, but here is where the paranoia begins to set in, the only true way to progress, is to leave the safety of base camp to try and obtain special bonuses, but going out also risks INFECTION, and once infected, the same trading mechanic that helps you, can also be the groups undoing, as it is through the trading system that the infection can spread…. So the real question in this game ends up being: “Who do you trust?” I can tell you for sure, that fans absolutely trust the developers, as this game is currently at $156,163 of the needed $54,097, and has 1742 backers as of this article. “Revolutionaries” brought to you by Make Believe Games, a company founded by Mark Rein-Hagen, the brilliant creator of “Vampire: The Masquerade”, and the tie in “World Of Darkness” games. 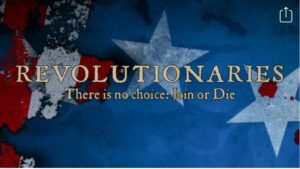 In Revolutionaries, you will take on the role of a newly inducted member of General George Washington’s Culper spy ring. You will be taking on missions for not only Washington directly, but also assisting other founding fathers such as Alexander Hamilton, and Benjamin Franklin, completing dangerous missions that will directly influence the tide of the war against the British Empire, and simultaneously foiling the best laid plans of the “Shadow Coats”, an Illuminati like cabal secretly guiding world events behind the scenes. Revolutionaries, utilizes the Axiom System, which Make Believe has used in all their other original I.P.’s such as I Am Zombie. The Axiom system eschews the standard character sheet, in favor of a card based system of character creation, the system lays out everything the player needs to play the character from right from the jump, allowing you to more fully flesh out your character from the start. The cards also serve triple duty as dice roll modifiers, and an indicator of a characters power level. Revolutionaries looks to be a pretty awesome game, and as such, is the aforementioned game I have thrown my hard earned money behind. Currently, with 18 days to go, it is at $8,025 of the needed $13,000 with 175 backers. 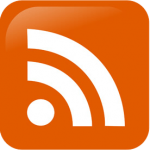 Well that’s it for this time, I hope some of these small write-ups have inspired you to check out these innovative games for yourself, and maybe even back one, all three still have plenty of time left in their campaigns, and even the funded ones still have stretch goals that can be unlocked. And while you are there, maybe you will find one that you like even more than these.